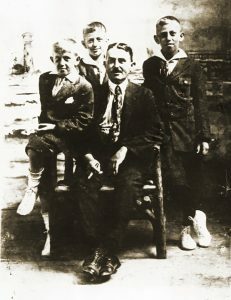 Herman Ilkovics was the first child of the marriage between Samuel Ilkovics and his second wife, Kati Spiro. He was born on the 11th of October, 1875 in the Hungarian town of Sebeskellemes (pronounced sheh-bish-kill-emish). After his birth, his mother went on to bear eight more children, most of them dying in infancy. At the age of 17, he set sail for New York. 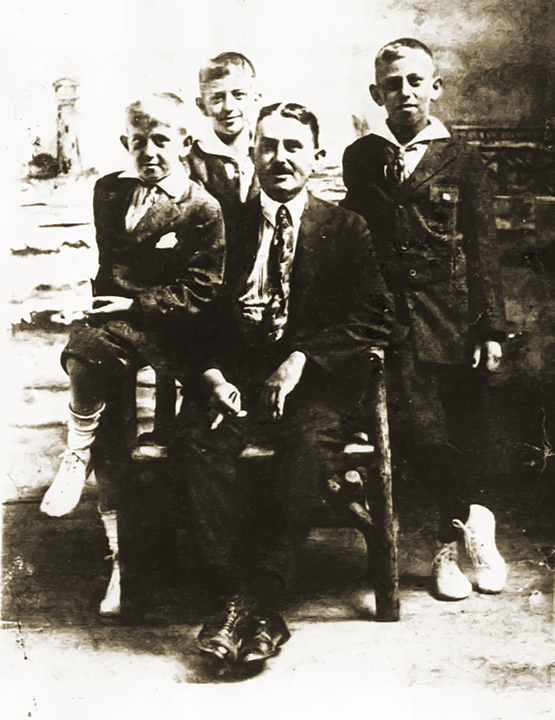 My father was only 10 when Herman passed away and aside from a few stories about him, most people alive today didn’t really know much about him. He has been working in the fields, perhaps for his brothers Adolf and Mor, and it was told that he was big and strong when he arrived in the US as a teenager. His transport record says he claimed to be a farmer and he traveled with no luggage. When he arrived in 1891, he didn’t need a sponsor to collect him and the story my grandfather told was that he had nowhere to go so he made his way to the beach. Listen to my father tell two stories about Herman’s renowned strength. Herman married my great-grandmother Rosalia Feiermann, who was from Kosice, only a few miles from his own town of Sebskellemes in Hungary. 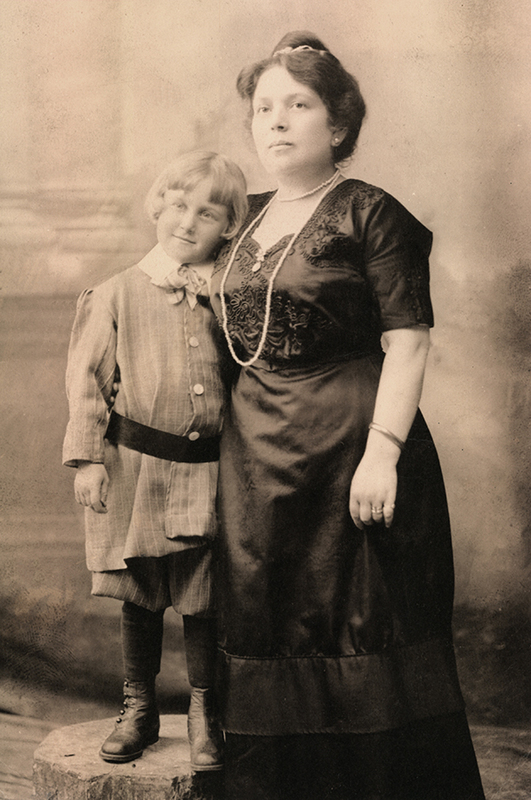 Rosalia, who went by Rosalie in the US, and by the fond term of “little grandma” within our family because of her very short stature, was four years older than her husband. The daughter of Adolf Feiermann and Terez Klein, she was born the 21st of May 1871, one of 6 children. Rosalie came to the US with her sister Gitla, or Gizella as she later went by, in October of 1891. Rosalie was 19 and her sister Gitla was 15. They came via Glasgow Scotland. How I wish I knew how parents in that time just sent off their two teenage daughters to make a life for themselves in the US. I don’t know who they had over here that they may have stayed with. Rosalie and Herman married on the 25th of October in 1896. I don’t know how they met each other but by the 1900 census, they were living on East 6th street, he was working as a waiter at a Hungarian restaurant, and they already had two of their eventual 5 children. Their first son born in 1897 was named Morris, perhaps after his oldest brother or a different relative? Morris, who went by Moe, married Anna Sfard in 1928. Their first child Leila died of pneumonia at the age of 6 months. 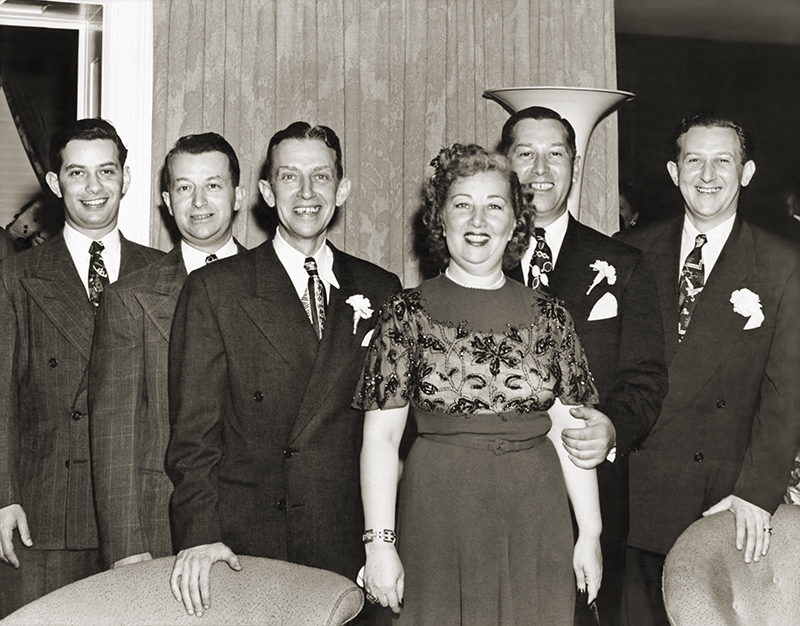 Anna gave birth to twins in 1933, Richard and Donald, fondly referred to as Dickie and Donnie. Morris died in 1976 and Anna followed 10 years later in 1986. Herman and Rosalie’s second child was Ida but she ended up going by the name of Adele. Born in 1898, she married Maurice Preville in 1917 and they had two children, Elinore in 1919 and Sheridan who went by Danny in 1924. A third child and second son, Isidor was born in 1901 but died in 1905. Louis, my grandfather, was their fourth child. Born in 1902, his birth certificate actually says the name Lou. He went by various spellings of Louis and Lewis but was always called Lou. He married my grandmother Esther Kronenberg and you can learn more about them here. Their fifth child was son Max Elkort. He was born in 1904 and married Margaret Higgins in 1933. They had no children. Their next child was Adolph born in 1908. Adolf was an older brother of Herman’s so perhaps Adolph was named for him. Sometime during the WWII years, he changed his name from Adolph to Eddie for obvious reasons. He married Lillian Beinhorn in 1946 and they went on to have three children. Eddie was a New York talent agent and handled many big movie stars. I remember when he would come to Los Angeles when I was a young girl. He usually had a starlette on his arm and would take us out to the Luau, a landmark Polynesian restaurant in Beverly Hills where you walked across bridges over little rivers and sat in large high-backed rattan chairs. Eddie would always have a pocket full of silver dollars and liberally handed them out to any children present at the evening. He was a lot of fun to be around. Their seventh and final child, born in 1916, was Theodore named after Teddy Roosevelt. Teddy worked as an accountant, married and had three children. He died in 1979. Herman died in 1939 when my father was 10 years old. He was buried as an Ilkovics although at that time they were spelling it Elkowitz. Rosalie outlived him 26 years and died in 1965. When she died, the family had his coffin disinterred and moved so they could be buried side by side. At that time, his gravestone was updated to reflect the name Elkort.